A working incubator is a crucial ingredient for a successful reptile breeding season. Eggs do hatch in the enclosure and in appropriately warm parts of the home but generally, the hatch rates are higher when the temperature can be carefully controlled. 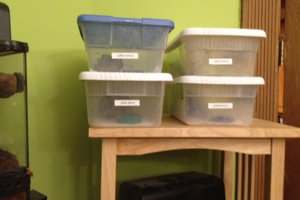 During my 10 years as a gecko breeder, I have used three different incubator models. Here is my story, presented not to give a scientific accounting of each type, but as a narrative explaining my journey to a “perfect” incubator (I chose not to try to build my own incubator for a variety of reasons). 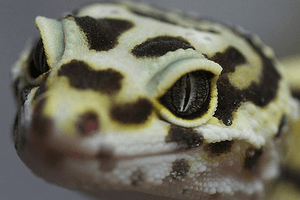 In January, Gecko Time published an article titled “Selling Rare Geckos” where we asked breeders of geckos that few people keep in captivity about their success in selling the offspring. Surprisingly to us, the breeders who responded had no problems. This led us to wonder how breeders who produce and sell the more popular geckos species are faring. An important consideration for prospective gecko breeders is whether they’ll be able to sell the geckos they produce. Gecko Time was curious about how successful breeders of the less common gecko species are in selling their hatchlings since they often require more specialized care than the more commonly available species such as leopard geckos. 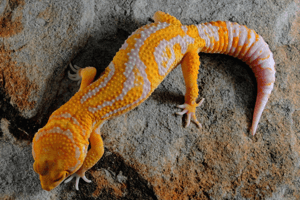 We started with the assumption that “rare” geckos would be harder to sell since the number of prospective buyers would be lower and presumably the cost of each gecko would be higher. We admit to being quite surprised at the general consensus among breeders of rare geckos as to their success in selling. Among the many cautions given to prospective gecko breeders is the one about having enough space to house offspring. Since a single female gecko can produce anywhere from 0-20 or more hatchlings in a single season, it’s a very important consideration. New breeders are advised to “start small” and plan ahead for an unknown result. 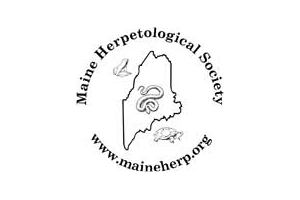 This article will detail and display some relatively inexpensive housing options for a variety of gecko species. Ray Roehner of Designer Geckos understands that there is more than one way to successfully care for leopard geckos. Presumably that’s why he calls his leopard gecko care book “The Leopard Gecko Advisor” rather than something like “Leopard Gecko Care”. He also realizes that novices need clear, step by step instructions for husbandry that will allow them to succeed immediately. “The Leopard Gecko Advisor” is such a book, and more. 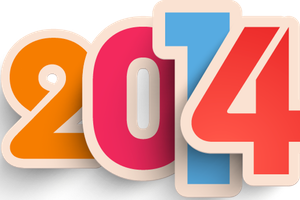 Five and a half years, 305 articles published weekly. No, we’re not “going under” but our priorities and publication schedule have changed. 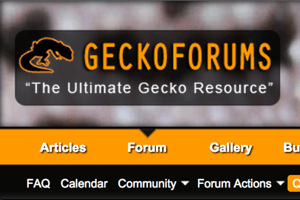 Geckoforums.net has long been one of the premier forums focusing on geckos, leopard geckos in particular, as opposed to reptiles in general. 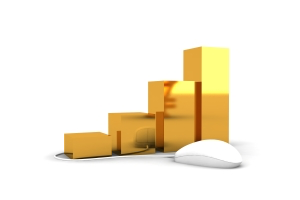 I have been a member of Geckoforums.net since its inception in 2006 and am pleased to have the current owner, Thad Unkefer, provide some information about this valuable resource.